New research published in the British Medical Journal has confirmed that vitamin D has protective effects against numerous site-specific cancers in both men and women. 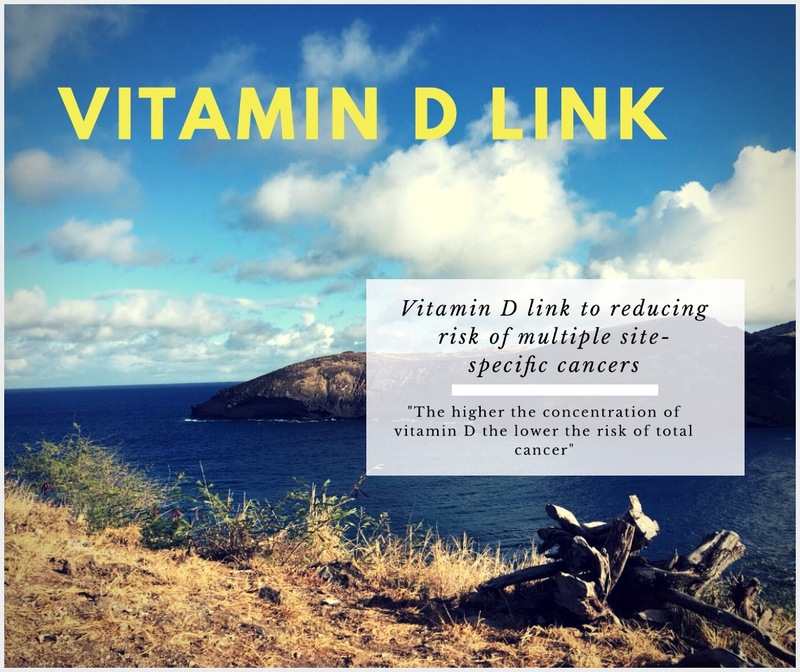 The findings of this large population-based cohort study from Japan found that the higher the concentration of vitamin D the lower the risk of total cancer. “Given that vitamin D concentrations and metabolism vary substantially by race/ethnicity we designed a case-cohort study that measured plasma 25-hydroxyvitamin D Concentration in the largest number of cancer cases to date (n=3301) within a Japanese population of the Japan Public Health Center-based Prospective(JPHC) Study,” the authors stated. The study measured plasma 25-hydroxyvitamin D in the largest number of cancer cases to date, and observed that a higher circulating concentration of vitamin D was associated with a lower risk of total cancer even after adjustment for known risk factors for cancer and across a variety of sensitivity analyses. “A notable finding of our study is that, compared with the lowest quarter of 25-hydroxyvitamin D concentration, the hazard ratio for total cancer decreased progressively in the second and third quarters but did not further decrease in the highest quarter. When we repeated the analysis in quintile-based categories, we observed a similar decreasing pattern in risk estimates, with the smallest hazard ratios in the third and fourth fifths, suggesting a potential ceiling effect,” the authors reported. This ceiling effect observed in the study may suggest that no additional benefit would result after a certain concentration of 25-hydroxyvitamin D is exceeded. The authors suggest that this together with the findings of previous trials, indicate that raising a low 25-hydroxyvitamin D concentration to an intermediate concentration may provide protection, where as raising it to a higher concentration (probably above around 80 nmol/L) may provide no further benefit. “To our knowledge, this is the first report involving circulating 25-hydroxyvitamin D concentrations and risk of total cancer in an Asian population.The lower risk associated with higher circulating vitamin D concentration seemed to show a ceiling effect, which may suggest that although maintaining an optimal 25-hydroxyvitamin D concentration is important for prevention of cancer, having a concentration beyond this optimal level may provide no further benefit. Future studies are needed to clarify the dose-response pattern and the optimal concentrations for cancer prevention,” the authors concluded. At Botanica Medica our Naturopaths are well aware of the importance of vitamin D and the effect it can have on your life both physically and mentally. They come across lots of interesting studies and are always updating their knowledge. If you would like to make an appointment with one of our Naturopaths call Botanica Medica on 8271-1827 today. They are only to happy to share the knowledge they have gained through their studies and patient outcomes, and get you feeling better. Botanica Medica is located at 97 Glen Osmond Road, Eastwood and appointments are available Monday to Saturday including some after hours.